What do you think of my CV? This is the number one question that any recruiter or career adviser is asked on a daily basis. The honest answer, if you follow a few basic principles, writing your CV, so it attracts an employer is not very difficult. You do however need to be aware of a few black holes and tailor it the specific company or opportunity that you're applying to. Ten years ago, if you applied for a job, it's very likely that your CV would have been at the very least looked at by the hiring manager or recruiter. Today this is not the case. The first point of contact is likely to be the company’s applicant tracking system which will read your profile and attach a value of relevance to it. If your CV passes the relevance test, it's likely to be read, if not it drops into the CV black whole. If your job search is not going well, generally candidates assume it's their CV. This is partly true, but it's probably not the information that you have your CV, it's what's not on your CV that should be that is the problem. This missing information will help you pass the relevance score. Over the last few years have shown that 70% of all candidate applications, never see human eyes. In this section, we're going to focus on writing a CV that will pass the applicant tracking system relevance test, while at the same time pass the hiring manage review test. Traditionally, American companies required candidates to have a concise document no longer than a page to showcase their experience which they termed a candidates Resume. In the UK, companies wanted candidates to provide a CV (Curriculum Vitae, which means "Course of life in Latin") to showcase their experience in a much longer, much more in-depth publication. Today things are slightly different in that the two words are interchangeable. In America and Canada, it's still today common for candidates to have a resume while in the UK and Ireland candidates are required to use a CV. Across the world in Australia, India and South Africa for examples, the two words are interchangeable with each other. Sadly there is no single perfect process to write your CV. If you speak to a hundred career advisers, you're likely to have a hundred different ways to write your CV and a hundred different opinions to what should be in your CV and what you can leave out. 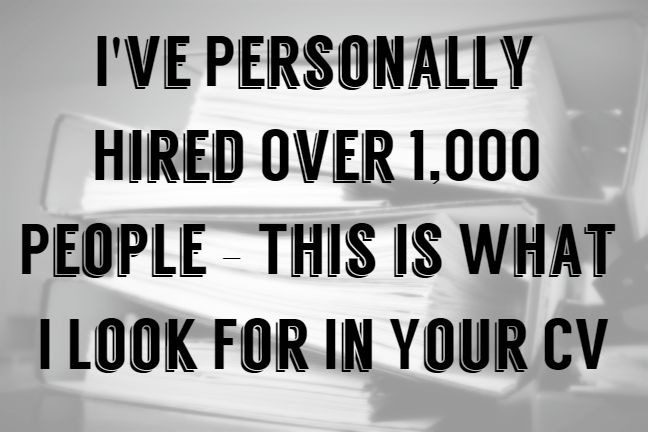 Over the years, I have had many people criticize my approach to writing CV's and Resumes'. While I firmly believe that I am not perfect, if you follow the advice below, you will get results in the form of job interviews. What's the Point of a CV? Before I begin to show you how to write a CV, let's start with a fundamental question. What's the whole point of writing a CV? Why do candidates spend hours changing single words, trying to make their CV perfect? Ten years ago, I could easily tell you the point of writing your CV. Today it's a little more unclear. Even if you write a great CV and are perfect for the job, your CV might not even reach the hiring manager. Technology, Social Media and the Internet are fantastic; however, it has made searching for a job accessible to everyone across the world. Job boards are global, and if you want to apply for a job in another sector or country, it's as simple as pressing a button. From a company perspective, this means that companies are receiving thousands of CV's every week from candidates that are all vying for the same role. Writing a CV is no longer just about showcasing your knowledge, it's about making sure that your profile passes a companies applicant tracking system (ATS) and is read by the hiring manager. Applicant Tracking Systems have been designed to help a company quickly and quickly sort through ten thousand CV's while choosing relevant candidates that have the right profile. Hiring Managers want to see candidates CV's that showcase their experience, knowledge and most importantly, their achievements. Applicant Tracking Systems "ATS" work by a computer program reviewing your CV looking for specific keywords and phrases that have been designated by the hiring manager or recruiter. Very simply, if your CV contains all or some of these keywords, it's likely to be read. If not, it will automatically head to the bin. The hiring manager will not see it, and neither will the recruiter. If you want your CV chosen, you need to make sure that you have every keyword possible that a recruiter or hiring manager will search for, on your CV. In principle this probably sounds like an impossible task, however, in reality, it's very straightforward. There's not an endless number of keywords that are relevant to each specific position. As long as we have the main keywords on our CV, it will be read. Company-specific keywords are keywords that will be relevant to the specific company. To give you an example of a "Company Specific Keyword" we are going to use Google.com. Google is a fantastic company that thousands of candidates apply to each week. Luckily Google also has a very sophisticated Applicant Tracking System that searches for Keywords. Take a Look at the Google Career Page. Google mentions that they "don't just accept difference – we celebrate it, support it and thrive on it." If you're going to apply to Google, then a perfect profile or summary would include these words, something like, "Dynamic, Skilled and a highly educated candidate that doesn't just accept difference but celebrates it, supports it and thrives on it." Including this phrase within your CV would help your CV stand out from the crowd and I would bet that your CV makes it into a short list to be read based on this inclusion of words. Job Advert Specific Keywords, are keywords that are specific to each job advert that you apply to. Hiring Managers write Job Adverts to find candidates that have a set skill, knowledge and experience. When you're applying to a job, you already have the job advert and can take the keywords and place them into your CV. To give you an example, I have taken the job advert from a role that I recently Head-Hunted for. The actual Job Advert was both longer and had more detail, but for this example, I have used the bare minimum to save space. With this Job Advert, I am looking for an Operations Manager for a Food Distribution company with distribution centers throughout the USA. The Division Operations Manager will be responsible for managing a network of distribution centers throughout the US. This individual will be responsible for managing both strategic and tactical pieces of the business and will need to be comfortable conducting business with all levels of employees. ​Manage multiple Distribution Centers throughout US and monitor daily operations, quality and safety standards. Proactively initiate polices and procedures to enhance performance and KPIs. ​Bachelor's degree, degree required, MBA preferred. Minimum of 10 year’s experience; preferably in food distribution with a CGMP Environment. Demonstrated ability to manage diverse relationships and lead a diverse team. As with most Head Hunters, we all use screening software to limit the CV's that are read. In this case, I received over four thousand resumes. There was no way that I was looking through four thousand resumes, and thus I used our internal screening software to screen the for Resume containing certain words. Screening software works by the user imputing keywords that they want to search for on a Resume. In this case, I imputed the words that were relevant to my position, in this case, those words are in BOLD. If your CV contained these words, it would have been shown to the hiring manager. Career-specific keywords are keywords that are relevant to your chosen career. They're likely to be different for each position that you work in, but by simply reviewing a set of career-specific keywords for a specific profile, it's easy to understand what that candidate is applying to. Generating a set of career-specific keywords is also very simple and requires you to write down as many keywords that are relevant to your day job as possible. I am sure you could easily list 10-20 keywords, however, if you're struggling, have a look at job adverts on LinkedIn or other major job boards and take note of the keywords that keep coming up in each job advert. These are the keywords that a recruiter will be searching for through an ATS portal and need to be on your CV. As an example, let's take a look at the keywords that should be on your CV if you're looking for a job as a sales manager. I have looked through LinkedIn' and Indeed's job adverts for sales manager jobs and pulled out the keywords that if I were looking for a sales manager for my client, would be searching for. If a hiring manager is recruiting, they're likely to be short of time. What does the hiring manager want to see on your CV? An ideal candidate who can do the job is not going to cause problems and most importantly will stay with them for the future. Hiring managers want candidates that are perfect for the job, not candidates that could do the job in their sleep, or candidates that think they could potentially do the job if they had some training. Hiring managers candidates that will be challenged and therefore enjoy their working day. If the role is too easy or too complicated, it's more than likely a hiring manager will be looking for another candidate in six months after their first choice has left. Job Relevancy is critical. You need to make sure you're applying to jobs that are a slight step up or a step sideways in terms of responsibilities otherwise no matter how good your CV is written, it's going to end up in the bin. To present this information on your CV, we're going to split your CV into three sections, the CV Layout, Responsibilities, and Achievements. Below are the points that you need to consider in each section. Hiring managers look for responsibilities and what you do during the working day. Only last week, I was looking at the CV of a Sales Manager where the candidate mentioned he "sold companies products." I had never heard of the company, had no idea of what products they sold and given that he had not told me, skipped the CV and moved on. Other than responsibilities, hiring managers want to see achievements. What have you achieved over the last few years? Finally, we come to the common CV mistakes section where we have provided you with the most common candidate's mistakes. 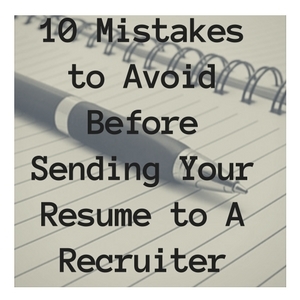 It's vital that you're aware of these mistakes so that you don't make the same mistakes when trying to write your CV. Write, re-write, check and re-check your CV - Ask a friend, to read and check your CV. Often the most natural mistakes are the most difficult to spot. You won't find them, but your colleague might do, and a recruiter or hiring manager will defiantly find them. You need to get my attention quickly - What do the first few lines of your CV say? My advice is to get as much useful information on the first few lines as possible. Next, to your name, put your qualifications. An MBA or other recognised qualifications do stand out. Your Objective - Never put your objective on your CV, firstly your space is limited, secondly if you are not interested in a Sales Role, why did you apply for it. Summary/Profile - It's unlikely that your summary will be read; however it's critical that you write a compelling overview of your career, showing your impressive achievements. It's also a great place to get a selection of keywords stacked into your CV. Keep It Short – Space is a premium on your CV so use it wisely. Remember at best I will be reading your CV for 30 seconds. How much can you learn in 30 seconds? If you're CV is ten pages, likely only the first couple will be read. Responsibilities - For every position you have worked in, you need to make sure that you show your responsibilities in detail. What did you do? Significant, impressive keywords such as "Head of Sales" - responsible for "selling the companies products," might sound great, but it does not tell me anything. Achievements - Make sure that you show your accomplishments. The percentage improvement, the profit made, the team grew by, trained, money saved are all great examples. Don’t Bend the Truth - Experienced Recruiters and Hiring managers have seen and heard of every game under the sun and are well adverse to something that smells wrong. Check Your Email and Telephone Number – How many times have I been sent a CV where the telephone number does not connect, or the email address bounces back. If I were given one dollar for every time this happened – well I would be a lot richer!!! Immaterial and Private Information– You don’t need to include hobbies, your sexual orientation, religion, relationship status or even your age. So far you should understand what an employer wants to see on your CV, How to separate it from the Crowd and most importantly how to pass the relevancy test on an application tracking portal. Now its time to put the above into practice and write your CV. I think you should be able to write your CV yourself, but if you have money to burn or don't have the time to do it yourself you can hire a CV/Resume Writer who will write you a professional CV/Resume. Hiring Managers and Recruiters will typically look at 100's of CV's every day to find the best candidates. For this reason, its vital that you follow the set structure as shown below to make sure the recruiter reads all the essential information that's on your CV. The two sections that will always be read are Section One (The title) and Section Three (Your Experience). To write a great CV, you need to make sure that you use these two sections in the best possible way. Section Four generally will not be read, but it's useful and needed to be completed. ​​Let's start from the top and work our way down. 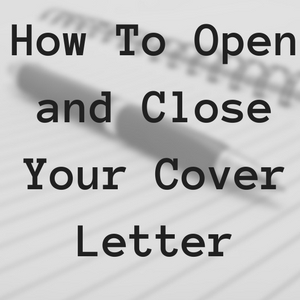 The title will always be read as a recruiter will want to know the candidate's name and whether there is any contact information on the CV. Generally, when you open a magazine or a book, the first thing you naturally do is to look at the title and then work your way down from there. Your CV is no different. Given the Top Section, your CV is guaranteed to be read, and this gives us a great place to put contact details and any critical information that could help your application. Remember, your CV needs to be a concise document, so while it's important that we do not cram everything together, space is at a premium. Leave the "CV" or "Nick's CV" off the Top of your CV. 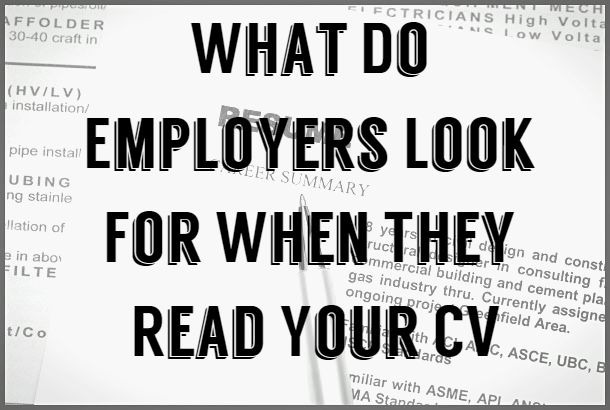 If you have sent your CV to a hiring manager or recruiter, they know it's your CV. Obviously, use your Full Name. Your Address does not need to be on your Resume unless your applying for a job that is in a different part of the country or world. In this case, use the city and country. Use both your Telephone Number and Email. Make sure they’re correct. Use your LinkedIn Profile or any other Professional Online Summary you have. Get your application off to a good start by mentioning any important qualifications you have. Your summary is a crucial section of your CV. 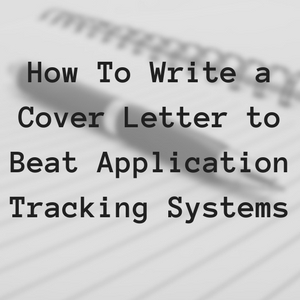 While it's unlikely to read, it's an excellent place for a selection of keywords to make sure that your CV beats the application tracking system portal and passes the relevancy score. Your profile needs to be a short few lines about yourself providing your key skills and experience. My advice that unless you're at a managerial level, you should be writing "I believe myself to be" instead of "I am." This will make sure that you don't come across as someone who thinks they know everything. Confidence is great, but arrogance is something you don't want to have. To best use this space on your CV, you need to make sure that you include both Company Specific Keywords, career-specific keywords, and job advert specific keywords to make sure your CV passes any ATS (Applicant Tracking Systems) that a company is using. If you need help writing your summary, there are 50 excellent CV summary examples here. It's crucial that you start this section as high up the first page as possible to get the most amount of content on the first page. Remember, recruiters and hiring managers will spend the nearly all their time looking at the first page, so make it count. If I spent 30 seconds reading your CV, 20 seconds would be spent on the first page, with the remainder on the rest. It's critical that for each previous company that you have worked for, you include the name of the company, a description of the company, the dates you worked. I hope it's evident that you need to include the company name. What's probably not obvious is that you also need to include a company description. If you have worked for Google or Facebook, then this is not so important as everyone will know who they are and what they do. In this case, it's important that you focus on the division within Facebook. The problem comes when a candidate has worked for Joe's Media. Who is Joe's Media? How big are they? To make it easier for the hiring manager, my advice is to write a short two-line company description for every place you've worked. You should include the business name, its size by turn over, the number of employees and what business the company is involved in. Ideally, you should put both the month and the year that you started, followed by both the month and the year that you finished (something like June 2011 –January 2014). However, the dates are one area that you can use to make your CV better than it is. Hiring Managers generally don't like candidates that have jumped around having different jobs every year. It shows that you lack commitment to a company and the hiring manager should not invest any time or money into you, as there is a good chance that you will not be there in a years time. The problem is that some candidates have been unlucky over the years and have had a few different jobs. In this case, it's much easier to explain why you have left a job in a face-to-face meeting than on your CV. If this is you, I would recommend that you use just the years that you worked. Ideally, your job titles should start with junior roles and increase in seniority as your experience increases. Often candidates think it looks great to have a fancy job title in their CV. While this is not a problem, you need to understand that you're then limited to only applying to roles with similar seniority. Telling me your last job title was Head of Sales, but you're applying for Sales Manager, or Account Manager role tells me that you're desperate and will take any job until a better one comes along. For each company that you have worked at, you need to make sure that you describe your responsibilities and achievements. For your responsibilities, you need to make sure that you show what you've actually done and not just keywords that may sound great, but don't say anything about what you can and cannot do. You also need to make sure that you include your achievements and successes for each position. Hiring Managers and recruiters love achievements. This Section should wrap up your CV and is a great place to put your education details, further education certificates and any additional keywords that are not in your CV but might be either on the Job Advert Description or Company Description. Education – Keep this brief and straightforward. Mention where you studied, the course title and the grade if you received a good mark. As discussed at the top of this post, any significant qualifications should go next to your name, but where you studied, and your previous education should go here. Addition Skills – This is an excellent section for I.T. systems, Language skills or any other relevant information such as, "your ability to relocate to another country." Hobbies – Keep your Hobbies Off your Resume. 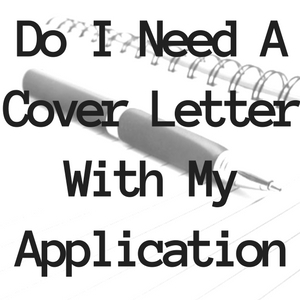 Do I Need A Cover Letter With My Application?